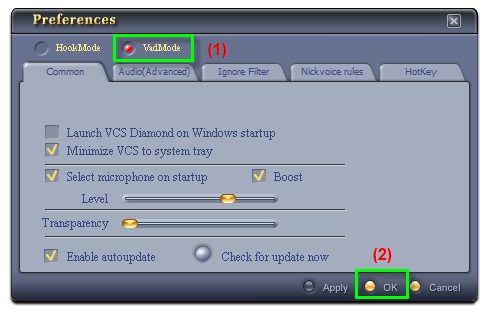 This tutorial will guide you through the way to use Voice Changer Software Diamond 7.0 to change your voice in ooVoo video chat . ooVoo is an iChat-like video conferencing and chat tool for Windows, loaded with several tools that make it a viable alternative for small work groups using conference calls and screen-sharing applications. 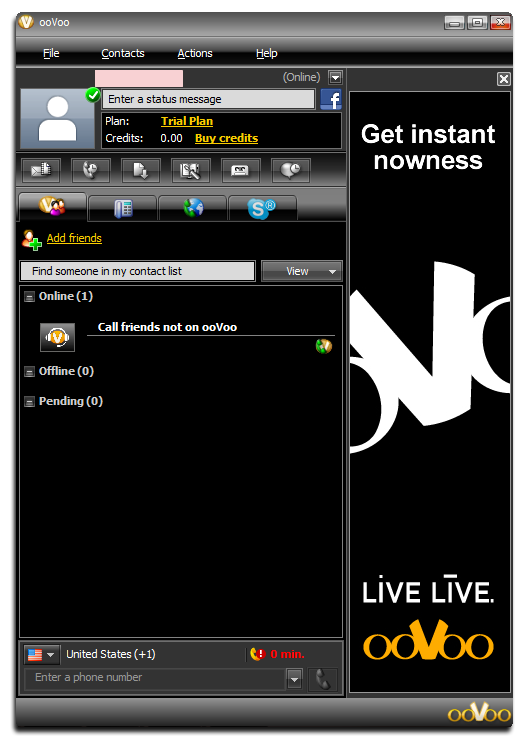 You should have ooVoo 3.0.7.21 installed and set up probably in your computer. Check detailed information from its website. 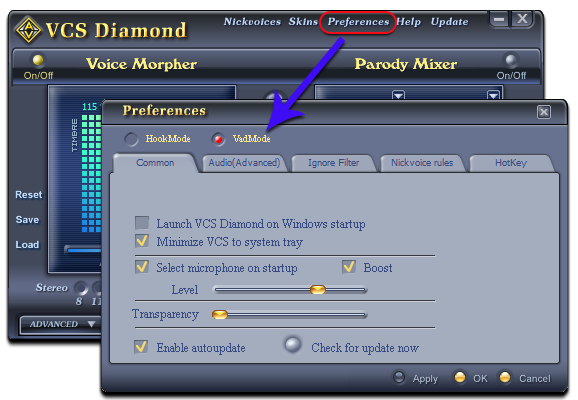 Open Voice Changer Software Diamond, choose the morphing effects for your voice, and make adjustments until you are satisfied with the output voice. Click here to learn how to change voice using Voice Morpher feature. 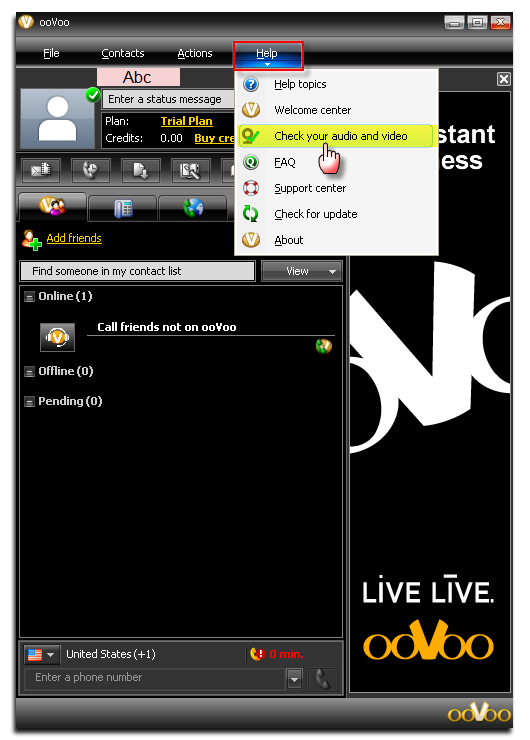 - Run ooVoo 3.0.7.21, log in your account. - Click Help button >> Check your audio and video to open the Audio and video setting window. From now on, VCS Virtual Audio Driver will be the main audio driver recognized by ooVoo. 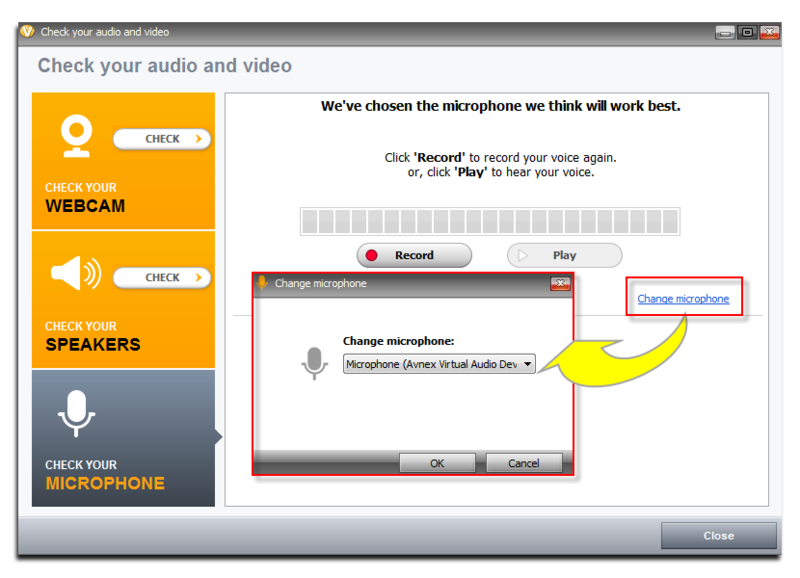 You can now start voice chatting on ooVoo. The morphing settings for your voice will be applied automatically.